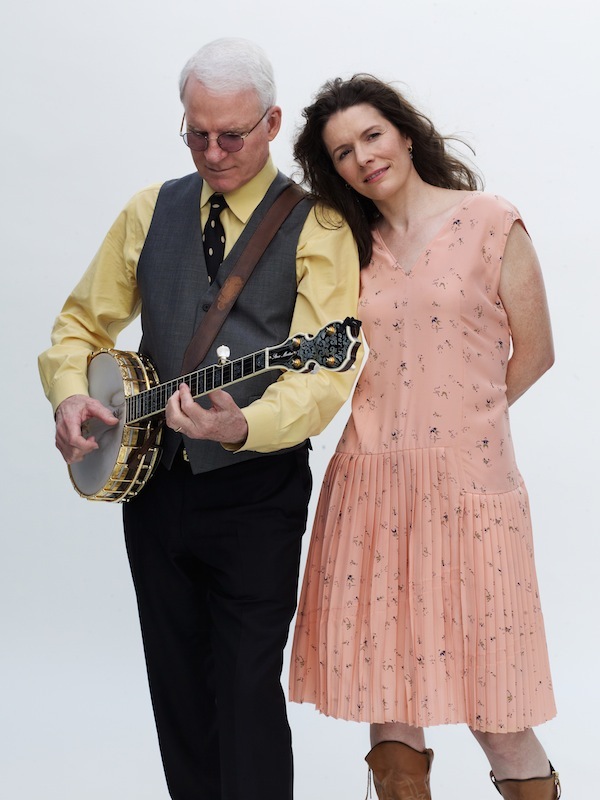 Steve Martin and Edie Brickell? 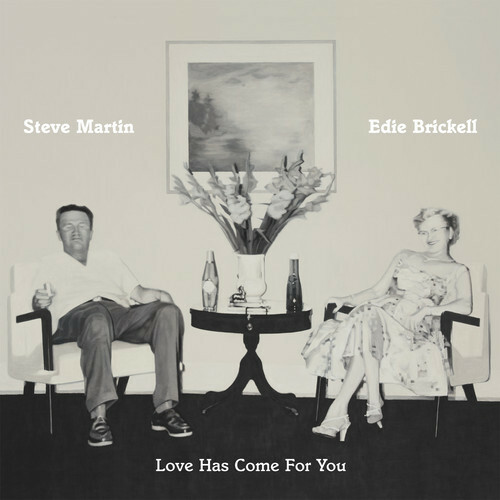 Actually, S. Martin & E. Brickell have a surprising amount in common. Both were born in Texas. Both are one-hit wonders — Martin with “King Tut” in 1978 and Brickell with “What I Am” in 1988. Both are right-handed. And then there’s the Saturday Night Live connection. On December 8, 1990, Steve Martin briefly appeared on SNL—only showing up during the opening—to perform in a now-classic sketch with Tom Hanks called “The Five-Timers Club,” a reference to those who had hosted the show five or more times. Also in the sketch were Elliot Gould and Tony Randall—who didn’t meet their future wives that night—and Paul Simon—who did. And who was that lucky lady soon to love him like a rock? It was the show’s musical guest, Edie Brickell. Martin and Brickell have known each other socially for the past 20-odd years, but only recently entertained the idea of collaborating. Steve — a multiple-Grammy-winning banjo player — wrote the initial musical lines and then sent them to Edie, who added the lyrics and melody. A couple of the tracks were played for Peter Asher (he’ll get his own story told at some point) who agreed to produce the album. Next thing you know, the formerly wild and crazy guy and the once upon a time hippie chick are a duo with a beautiful and unusual record on their hands. Martin’s banjo on Love Has Come For You provides the bedrock which allows Brickell the freedom for her flights of fancy. She takes the songs in every direction, from playful traditionalist bluegrass to wistful autumnal pop to darkness-tinged folk, and her voice fits in perfectly with the music, as if she’s been playing with Martin for years instead of months. So don’t be afraid. There’s no need to hide. Let love come for you, too.